Largemouth bass can be found in lots of lakes, rivers, and ponds across the country. In southern areas bass catching has been in full swing for weeks, but in the Midwest the bass action is just starting. In fact, in some states that have an open and closed season for bass fishing, the legal season for catching bass is just starting. 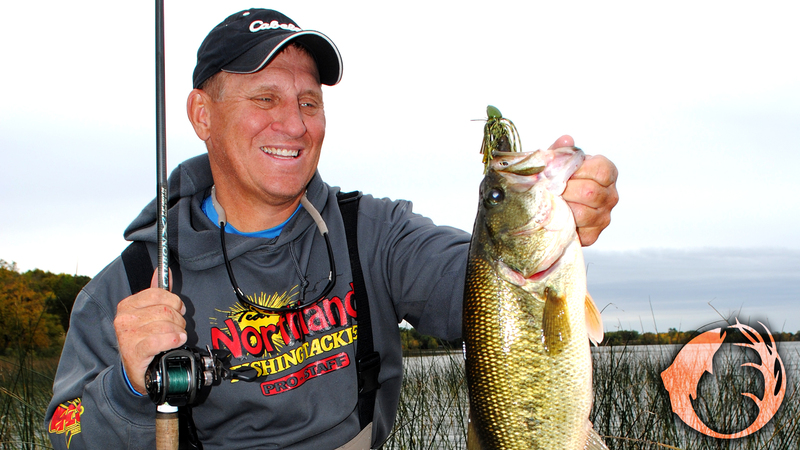 Here’s how you can take advantage of the outstanding fishing for largemouth bass that can be found across the Midwest. The first thing to consider is that much of this early bass action will be in shallow water. Whenever you’re fishing in shallow water, for any species, you must be quiet. Fish in shallow water are very spooky, so any loud or unusual noise, and any movement will spook them. Shut the outboard off before you enter the area to be fished and move in slowly with the electric motor. Keep the power on the electric on low: Move in slowly and quietly and avoid giving the electric bursts of power. You’ll also want to make long casts, especially in clear water. Again, if you make long casts and stay away from the bass, you’ll be less likely to spook them. Lures that enter the water quietly will be productive. A lure that lands on the water quietly attracts bass, while a lure that splashes down loudly will spook them, especially if it lands close to the fish. A real winner for bass in the spring is a plastic worm rigged wacky style. Wacky rigging is simply hooking a worm right in the middle. You use a larger sized hook, about a 2/0 size for a five inch worm. You don’t use any weight, as you want the worm to sink slowly. Cast the worm around rushes, docks, trees lying in the water, or anything that provides the fish with some cover. Bass like to be around stuff, especially when they’re shallow. This wacky rigged worm is a pretty light bait, so some anglers like to throw it with spinning gear. I use braid in the 65 pound test range much of the time: P-Line XTCB is my favorite. It has virtually zero stretch so hooksets are solid, and it casts very well. If visibility is a concern, use Tactical Fluorocarbon in the 15 or 20 pound test size. Again, minimal stretch, and this stuff is as invisible as it gets. An Impulse Dip-Stick worm doesn’t have much tail action, which makes it perfect for wacky rigging. Cast it out, let it sink a bit, then start a twitching retrieve. You might want to let it rest on the bottom for a second or two, and sometimes an even longer rest is good, but most of the time you’ll want to keep it moving. In colder water give it light twitches, as the water warms move it more aggressively. Experiment with colors, but in clear water start with a watermelon color. I also like White Shad because white is easy to see, and sometimes strikes are light. If your bait disappears, set the hook. Right now is an outstanding time to be on the water. The weather is usually nice and the bass are biting, and that creates a wonderful afternoon of fishing. Photo Credit: Bass expert Mike Frisch with a shallow water friend.